The Datsun Go has made waves among new car buyers across South Africa since the brand’s comeback in 2014. This fresh and bold hatch is the epitome of affordability, fuel economy and size required by its buyers. At AutoCity Datsun Nigel Heidelburg – General Manager, Johann van Heerden and his team share a mission to provide their loyal customers with the best deals and excellent customer service, ensuring their after-sales needs are tended to diligently. 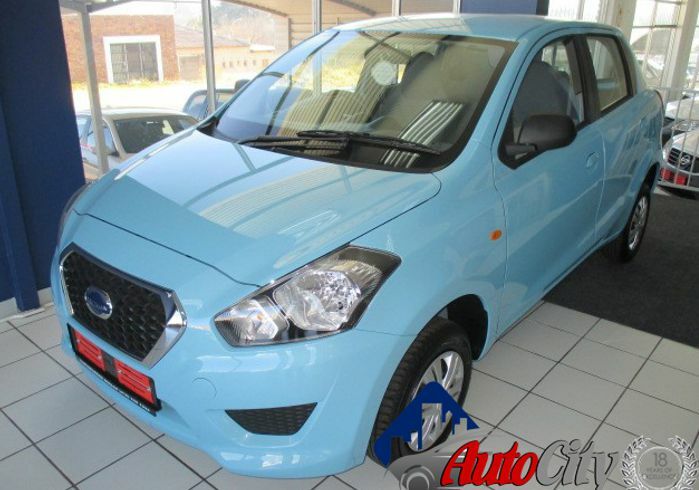 With AutoCity Sales Executive, André Fouché at my side, I cruise through the streets of Nigel in the Datsun Go Lux. The vehicle’s ground clearance is somewhat higher than expected. Safety is highlighted by the clear tail lamps and high brake lights. The D-cut chrome grille and body coloured bumper embellish the front of the Datsun Go Lux. Its classy, yet robust front fenders contribute to its modern character. Space is the focal point as you enter effortlessly through the wide opening doors. With the front seats being connected and offering spinal support, it’s difficult to compare comfort and convenience with that of its competitors. Though the seats are connected, they are still individually adjustable for driver and front passenger. Infotainment-wise, the Go features a mobile docking station where you can insert your smartphone and listen to your music through the AUX-in port and even charge your phone with the USB port! You could even install your own radio system if AUX-in is not for you. The modern cluster is fitted with an analogue speedometer, a digital tachometer and drive computer which indicates average fuel consumption and distance to empty. 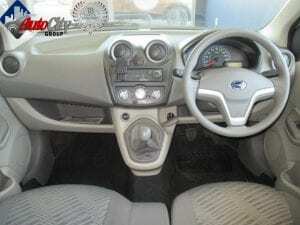 Added driving comfort is attained with the air conditioning system and ergonomically placed air vents. For safety, the Datsun Go is fully fitted with seat belts in all five seats. Other safety features include driver airbag, child lock, immobiliser and manual central locking. The drive is just as peppy as the Go looks. First and second gears allow the Go to leap forward, and once you’ve reached a comfortable speed, gear three, four and five ease you to your destination. This urban warrior is ever-ready for a fun weekend away or a trip to the local supermarket. 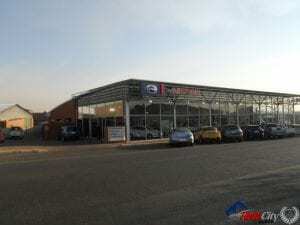 AutoCity Datsun Nigel Heidelburg offers a 3-year/100 000km warranty and 15 000km service intervals. To get your Datsun Go Lux today, visit Autocity Datsun Nigel Heidelburg and speak to Dealer Principal, Chris Strydom; Sales Manager, De Wet Pretorius or Sales Executive, André Fouché. Don’t forget to take a look at AutoCity’s wide variety of used vehicles on offer as well! Boasting 18 years of service excellence, AutoCity has a loyal following and adopts new clients as one of their own. The Autocity Group also proudly represents numerous other brands including Renault, Kia, Nissan and Mahindra.